The first-ever “truth commission” in Israel, to be held on Wednesday, will feature confessions from veteran Israeli fighters of the 1948 war who are expected to admit to perpetrating war crimes as hundreds of thousands of Palestinians were expelled from their homes. The commission is the culmination of more than decade of antagonistic confrontations between a small group of activists called Zochrot, the Hebrew word for Remembering, and the Israeli authorities as well as much of the Jewish public. Founded in 2002, Zochrot is dedicated to educating Israeli Jews about what Palestinians call the Nakba, Arabic for catastrophe, referring to Israel’s creation on the ruins of their homeland more than six decades ago. The group also campaigns for the right of return for Palestinian refugees to Israel, probably the biggest taboo in Israeli society. The commission, which has no official standing, could be the first of several such events around Israel, to investigate atrocities and war crimes committed in different localities, said Liat Rosenberg, Zochrot’s director. “We have looked to other such commissions around the world as models, most obviously in South Africa,” she said. “But unlike the one there, ours does not include the element of reconciliation because the conflict here has yet to be resolved. The commission is likely to provoke outrage from the Israeli government, which passed the so-called Nakba Law in 2011 to try to make it harder to commemorate Palestinian suffering. The impact of the law is being widely felt. Just last month, the culture ministry vowed to block a government grant to a Tel Aviv cultural centre that hosted a Zochrot film festival on the Nakba. Rosenberg said Israeli veteran fighters and Palestinian witnesses participating in the truth commission had asked for their names to be kept secret until the hearings for fear that friends and family would put pressure on them to withdraw. The commission is being held in the city of Beersheva, a once-Bedouin town that was ethnically cleansed in 1948 and is today the largest Jewish city in the Negev region in southern Israel. Zochrot said it had chosen the city to host the first event event because forced expulsions of Bedouin from the Negev had taken place not only in 1948, but had continued on a large scale, out of view of observers, for many years afterwards. The commission is the latest project by Zochrot that discredits a traditional Israeli narrative that some 750,000 Palestinians left under orders from Arab leaders and that Israel’s army acted only in self-defence. Such beliefs have fed into the common assumption from the Israeli public that Israel’s army is the “most moral in the world”. The commission is the direct result of a project launched by Zochrot two years ago to create an alternative archive of the Nakba, based on filmed testimonies from Palestinian refugees and Israeli veterans. Activists fear that, as the generation of refugees and fighters dies off, they will take their secrets to the grave. Israeli military archives relating to the 1948 war began being opened to academics in the late 1980s. This led to a group of so-called “new historians” overturning the traditional accounts of that period and unearthing written evidence of massacres and ethnic cleansing operations for the first time. However, historians have reported in recent years that the Israeli authorities have become more reluctant to open files and many of the more controversial episodes of the 1948 war are still unclear. Rosenberg hopes the commission will begin to fill some of the gaps. According to Rosenberg, three Israeli fighters and three Palestinian witnesses will testify before a panel of six commissioners. The commissioners will then question them further about events and make follow up recommendations. The hearings are due to be streamed online. One veteran of the fighting in the Negev, Amnon Neumann, has already gone on record in testimony that can be seen in Zochrot’s film archive. He has said the Bedouin in the Negev – contrary to popular Israeli perception – put up almost no resistance to advancing Jewish forces because they lacked “a military capacity” and “had no weapons”. Nonetheless, he said, the Israeli army terrified the Bedouin villagers out of their homes by shooting either at them, or above their heads. “We drove them out. Women and children went to Gaza. … By the morning there was nobody there. We burnt their houses,” Neumann said. In other filmed testimony, Mordechai Bar-On, an officer in 1948 with the Givati Brigade, confirmed that orders were to shoot “infiltrators” – a reference to refugees who tried to return to their villages. “Even if there were women and children. I remember I told myself that we would do it. … There was an order to kill, not even catch them,” Bar-On said. For the most part, the Israeli veterans are coming forward now out of a feeling of guilt. But challenges remain, and despite veterans coming forward, piecing together events can still be difficult. Rosenberg said many of those giving filmed testimony, including Neumann, have been reluctant to go into details of the war crimes they participated in. It is now hoped that the questioning by the commissioners will encourage participants to be even more forthcoming. The commission will also move beyond the 1948 period and examine expulsions in the semi-desert Negev region, comprising nearly two-thirds of Israel’s landmass, for the 12 years following the war. 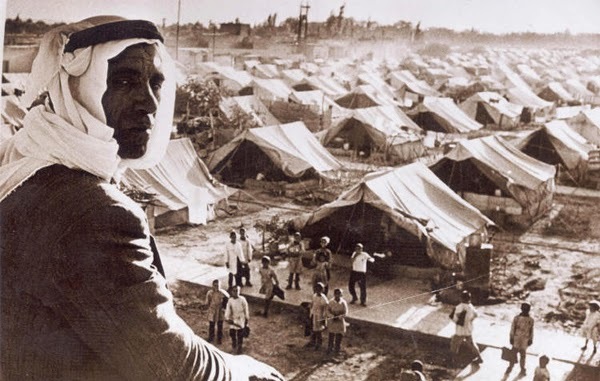 Isolated from the rest of the new state of Israel, the Negev was largely unmonitored as the Israeli military carried out expulsions of Bedouin throughout the 1950s, said Raneen Jeries, a Zochrot organiser. More than 2,000 Palestinian inhabitants of al-Majdal, which later became the Jewish city of Ashkelon, were put on trucks and shipped to Gaza nearly two years after the war ended, according to Nur Masalha, a Palestinian historian and expert on Israeli “transfer” policies. Jeries said the legacy of the events of 1948 was being felt to this day, with policies of expulsion continuing in the Negev and the occupied territories. Haaretz reporter Amira Hass revealed three months ago that the Israeli military was planning to forcibly relocate for a second time the Jahalin tribe. The tribe was driven out of the Negev in 1948 and fled to the safety of the West Bank, then under Jordanian control. However, Israel occupied the land after the 1967 war, and it seems that Israeli authorities now want to expel some 12,500 Jahalin tribes people, this time to a site near Jericho. 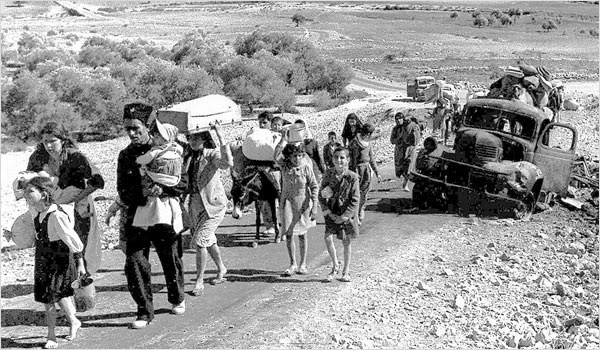 Zochrot had been successful in forcing Israelis to recognise the Nakba and a darker side to the 1948 war, said Neve Gordon, a politics professor at Ben Gurion University in Beersheva, where the truth commission is to be held. “A decade ago, if I mentioned the Nakba in a class of 150 students, hardly any of them would have known what I meant. Now 80 or 90 per cent would know,” Gordon told MEE. Gordon also attributed the change both to Zochrot’s activities and statements by Arab legislators representing Israel’s large Palestinian minority, comprising a fifth of the total population. Palestinians were educating their children with “endless propaganda” calling for the disappearance of Israel, he said. The government has backed up its rhetoric with legislation, passing a Nakba Law in 2011 that denies public funds to institutions and organisations that commemorate the Palestinians’ dispossession. The measure is partly seen as a reaction to Zochrot’s growing success. 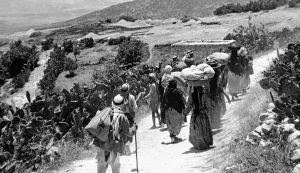 The original legislation, which would have criminalised any commemoration of the Nakba – making many of Zochrot’s activities illegal – was water-downed after Israel came under strong international pressure. In Zochrot’s early years, its main efforts were directed at escorting Israeli Jews and Palestinian refugees to some of the more than 500 Palestinian villages that Israel destroyed during and after the 1948 war. The villages were razed to prevent refugees from returning home. The remnants of most of the villages are now barely traceable, hidden under forests planted by a charity called the Jewish National Fund or lost within gated communities in which only Jews can live. Zochrot has continued such visits, placing signposts to remind the new Jewish inhabitants that their communities are built on the ruins of Palestinian homes, often belonging to neighbours living a short distance away. A large proportion of Israel’s Palestinian minority were internally displaced by the 1948 war and live close to their original homes but are barred from returning. Eitan Bronstein, who founded Zochrot, said the current challenge was how to change Israeli Jews’ perception of the Nakba. “They now recognise the word but what does it mean to them? Many, it seems, think it is simply a negative label Palestinians have attached to Israel’s establishment. We have an Independence Day that they call their Nakba,” Bronstein said. The right wing, including the government of Benjamin Netanyahu, has grown increasingly rattled by Zochrot’s agenda-setting programme of events. 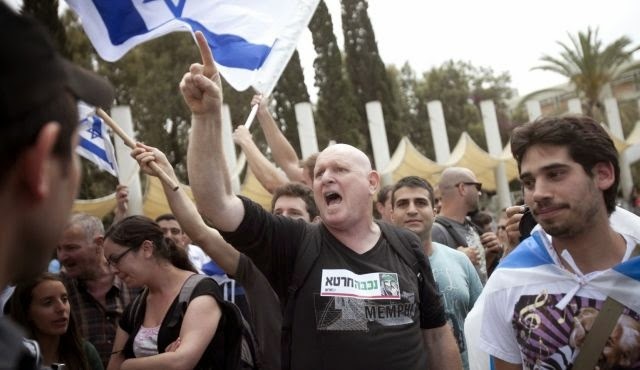 The popularity of a far-right youth movement, Im Tirtzu, has grown rapidly on Israeli university campuses over the past few years, in part as a backlash to commemorations of the Nakba by Zochrot and Palestinian students. Last month, when Zochrot held its second Nakba and Right of Return Film Festival in Tel Aviv, the culture minister, Limor Livnat, immediately threatened to pull a government grant worth more than $450,000 from the cinema that hosted it. “The state cannot bear the cost of funding of an entity that encourages debate over what the Palestinians call ‘the right of return’,” Livnat said in a statement. She was reported to have based her decision on her reading of the Nakba Law. Bronstein and others have faced angry opposition from the Israeli public and police as they have tried to stage Nakba commemorations – most notably in Tel Aviv in 2012, when they were surrounded by riot police for four hours. Three Zochrot activists were arrested. Yet Zochrot’s organisers, whose members include both Jewish and Palestinian citizens, seem largely unfazed by the threats and hostility their group generates. Last year Zochrot arranged a conference that for the first time examined not just the principle of the right of return but practical ways to implement it. This year the group launched a phone app, called iNakba, in three languages, which provides users with detailed maps and information on the destroyed villages. Jeries said it had had thousands of downloads, giving Israelis for the first time the chance to peel away the subsequent layers of construction and forestation to see what was destroyed, often on their doorstep.